As solar jobs flourish, can the industry get the diversity issue right? For Reginald Parker, starting a solar company has been more than a shrewd business move. It’s brought him closer to his family roots. 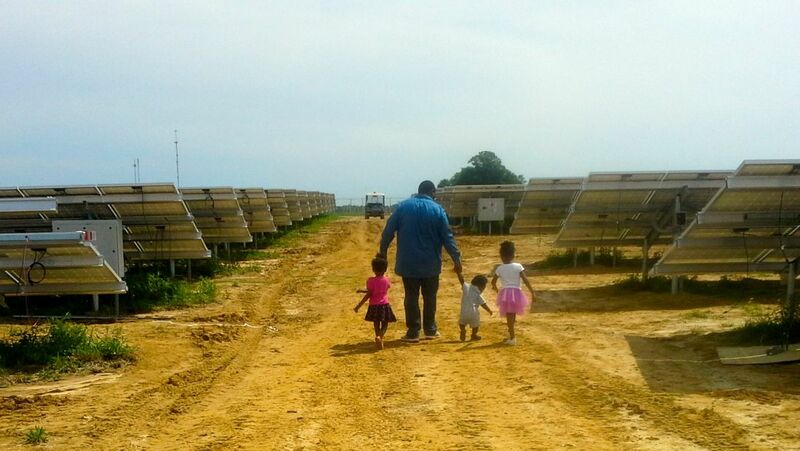 Parker's company, 510nano, maintains the largest African-American-owned solar plant in the United States to date. 510nano coordinated the land purchase, permanent financing and regulatory approvals, and partnered with Solarpark USA to build the project. Parker’s mother was a sharecropper who picked cotton in Georgia. His father was a tobacco farmer near the coast of North Carolina whose family's land was annexed. Being able to buy land in the area and use it effectively has been tremendously significant to Parker. 510nano is currently collaborating on several other solar development opportunities, including two projects that will feature a novel hybrid concentrating PV system. Photo Credit: 510nano. Reginald Parker on the site of his first grid-scale solar project. 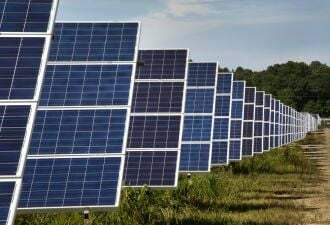 Parker became interested in solar more than twenty years ago after writing a paper about how forests were being destroyed for fuel in Zimbabwe. He found out how renewable energy like hydropower, wind and solar could help save them. He went on to earn a bachelor’s degree from the Massachusetts Institute of Technology, a master’s degree and doctorate from the Georgia Institute of Technology, and an MBA from Florida State University. Parker has developed numerous materials, including a nanobiocomposite for semiconductors and a conductive paste. But his career path hasn't always been easy -- not just because the cleantech business is so competitive, but also because minority groups have a particularly hard time getting into the industry. Parker recalled that even as the president of a firm, it was difficult to buy land for a solar project. Before agreeing to do business with Parker, one seller asked him for his resume -- not a bank statement, a letter of interest from a financing institution, or a down payment. 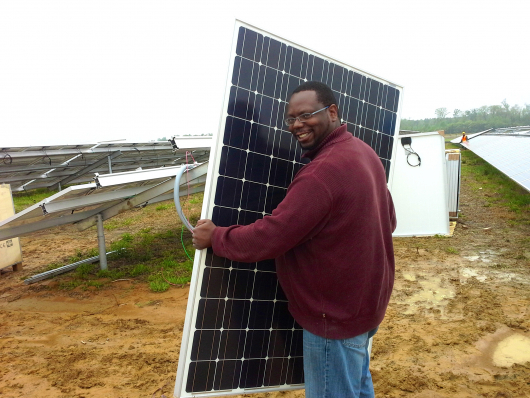 So while Parker is excited to say that 510nano has built the largest African-American-owned solar project in the country, he also believes it shows how minority groups are underrepresented in the field. Indeed, the solar industry, like the tech industry as a whole, has a diversity issue. According to The Solar Foundation’s 2013 National Solar Jobs Census, 19 percent of all solar workers are women, nearly 16 percent are Latino, 7 percent are Asian/Pacific Islander, and 6 percent are African-American. The industry is generally diverse, but women and racial and ethnic minorities make up a smaller share of the solar workforce than of the broader U.S. economy. Veterans, who continue to grapple with extremely high unemployment rates, make up 9 percent of the solar industry. This represents a slightly higher level of representation than in the total employed U.S. population. The report did not contain employment data on the number of Native Americans working in the U.S. solar industry. The Solar Foundation is currently collecting data for the 2014 solar jobs census to be released in January. It’s not yet clear what percentage of workers in the solar installation, manufacturing, and sales and distribution sectors this year represent minority groups. By recruiting from the local Garysburg community, which is more than 90 percent African-American, seven out of ten builders that worked on 510nano's project were part of a minority group. The workers are out there, said Parker. Boosting diversity is just a matter of advertising and recruiting for the job correctly. The same is true across the professional spectrum from installer to financier, he said. Claims made by large tech firms like Google and Apple that there aren’t enough qualified African-Americans or Hispanics available to hire are false. Silicon Valley companies report that African-Americans and Hispanics make up 2 percent and 3 percent of technology workers, respectively. However, research shows that students in these two groups graduate from prestigious universities in computer science and computer engineering at twice that rate -- more than 4 percent. “People are risk-averse, and as a consequence, they go with what they know, or at least what they feel comfortable with,” said Parker. If industries don’t cast a wide net during the hiring process, “women and minorities get locked out even before they know there’s a chance to get in,” he added. This problem isn’t unique to the clean energy business. But because the industry is growing so fast (solar expanded by 40 percent overall last year), it has a unique opportunity to get the diversity issue right. “I think whenever you have an industry that is emerging and growing and hasn’t been around for hundreds and hundreds of years, you have a tremendous opportunity to not re-create the mistakes of industries of the past,” said Erica Mackie, co-founder and CEO of Grid Alternatives, a nonprofit that brings renewable energy technology and job training opportunities to underserved communities. By working with a variety of job training organizations and fostering an inclusive teaching space, Grid Alternatives has been able to bring more women, veterans, people of color and those changing careers into the solar industry. Last year, the Department of Energy made a concerted effort to engage more minorities in the energy sector through education, energy economic development and climate change policy with the launch of the Minorities in Energy Initiative. In September, Grid Alternatives launched its Mid-Atlantic presence by enabling ten families in Washington, D.C. to go solar. Antwain Nelson, a solar trainee from an organization called Sasha Bruce Youthworks, said he would have known little about the solar industry if not for this program. Photo Credit: Grid Alternatives. 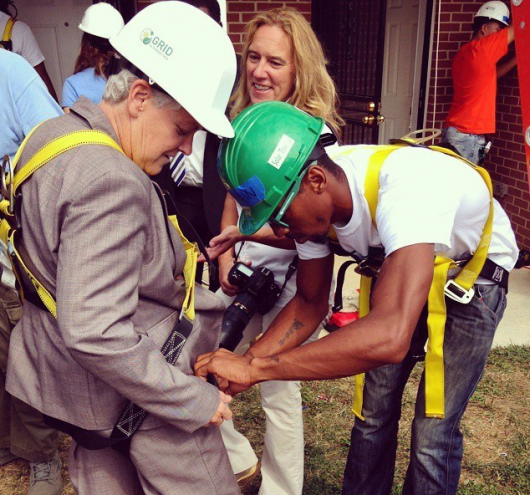 Nelson helps EPA's Gina McCarthy suit up for an installation. "Solar is one of the biggest businesses coming up now, and it's good because there's a lot of opportunity here, especially for youth in D.C., youth like myself, that want to continue to work and to learn," he said. As a startup-driven sector, the solar industry stands to reap value from hiring diverse teams, said Mackie. In 2009, one of the first studies to empirically examine the implications of workplace diversity found that diversity was a strong driver of business: “For every percentage increase in the rate of racial or gender diversity up to the rate represented in the relevant population, there was an increase in sales revenues of approximately 9 percent and 3 percent, respectively," the authors concluded. A similar study published by Gallup in January found that gender-diverse business units in a retail company have 14 percent higher average comparable revenue than less gender-diverse business units. Other studies have found that groups with significant racial, ethnic and gender diversity are more innovative than homogeneous groups. The solar industry can also benefit from expanding access to low-income communities, said Mackie. Diversifying the professional ranks of solar is somewhat different from boosting access to solar technologies, but both initiatives are central to growing the sector more equitably, she explained. “From our perspective…it’s really critical that if we are going to grow a clean economy, we have to do that in a way that includes all of our communities,” said Mackie. 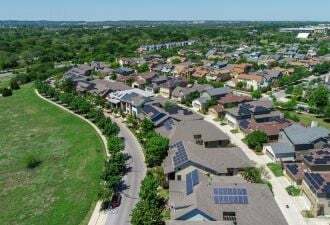 Residential solar installations are booming, but most systems are being installed on the roofs of relatively higher-income households. People who would not typically be solar adopters -- those who don’t have equal access to credit -- aren’t often reached by marketers. Critics of net metering programs argue that these solar incentives disproportionately benefit higher-income families, sticking lower-income families with the costs of maintaining the grid. Some utilities, like Arizona Public Service, have proposed their own plans to target customers that might not otherwise be able to afford solar. The GW Solar Institute at George Washington University has made this issue central to its cause: “Mainstreaming solar energy beyond early adopters will require the adoption of more inclusive policies, programs, and financing options, as well as more targeted education and marketing." Mackie is also thinking about a much bigger issue beyond the clean economy: climate change. If the country is going to find the right solutions to the issue, it's imperative that a wide array of stakeholders are at the table, she said.